I just received the demo. I really like the intro and the beat is really good. I like the fact that it's a little faster than I originally thought it might be. The changes are good. I'm crying so you know I really like it. I can't believe I can put a CD in my player and hear the song I wrote in math class. Thank you so much. It really is good. "Absolutely phenominal!!! Two thumbs up!!! Superb!!! You guys did fantastic on our demo. It was so much more than I expected. The quality of both the melody and music was outstanding. Your turn-around was wonderfully quick and I was impressed with your prompt response to all of my questions and concerns. Give a pat on the back to everyone involved at NSS. They did great!" Click on the songs below to hear examples of Nashville Song Service demos. The song clips are shortened for easy download. 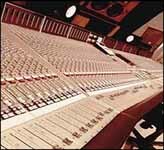 -All of our productions are burned to CD for maximum sonic quality. Full production audio clips contain examples of the different recording packages we offer, as well as various male and female vocalists. Enjoy!